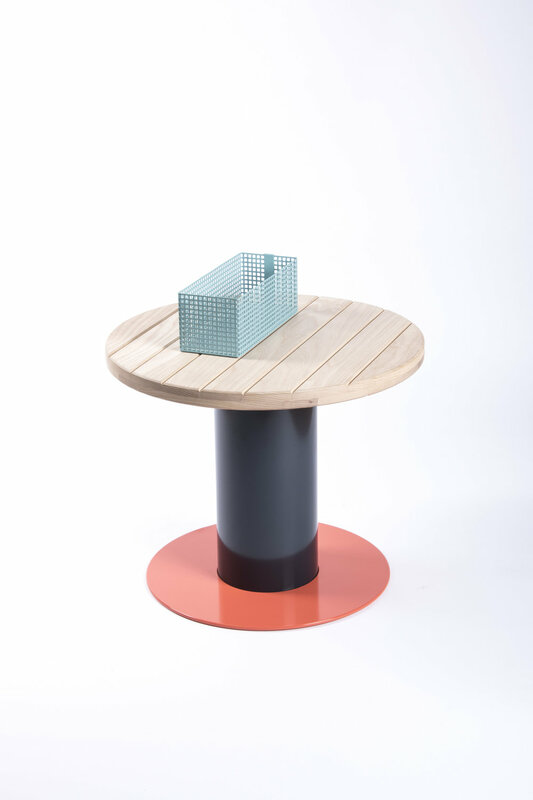 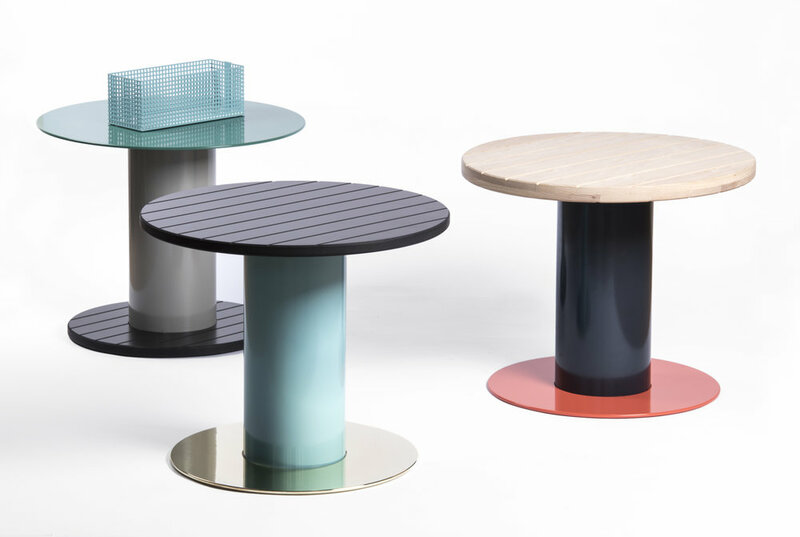 he Reel Side Tables are a contemporary translation of traditional wooden cable reels both in formal aesthetics as in the construction. 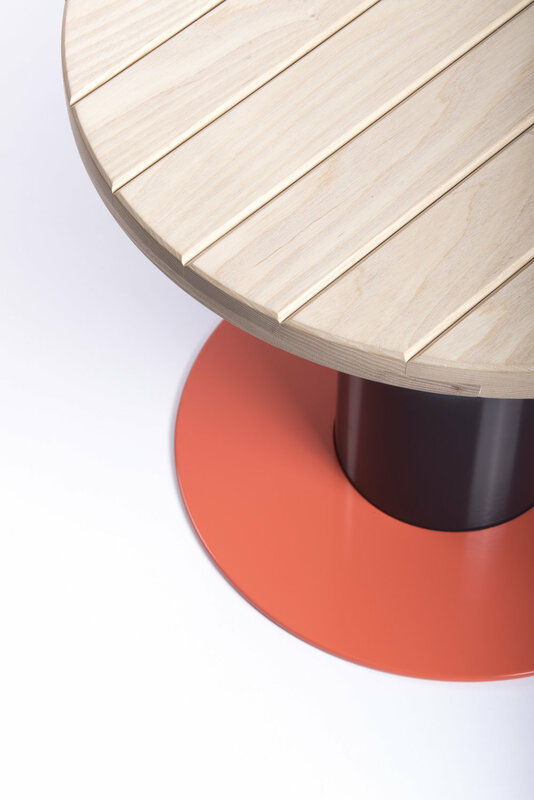 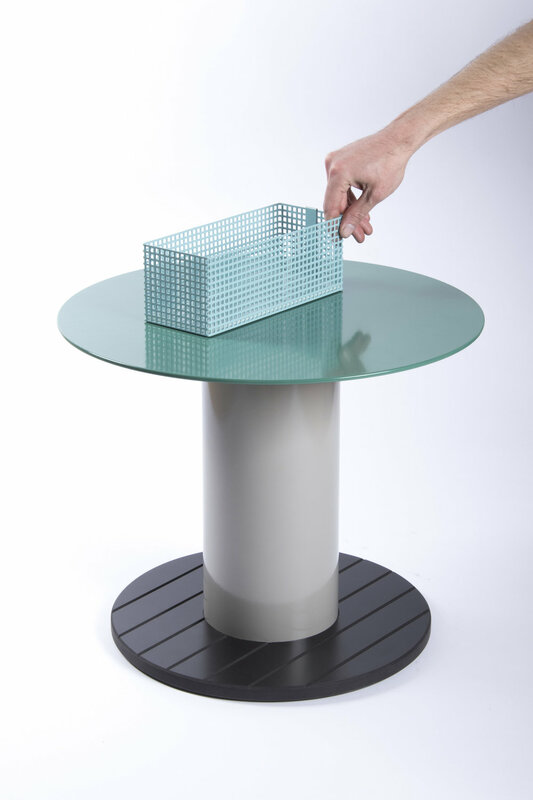 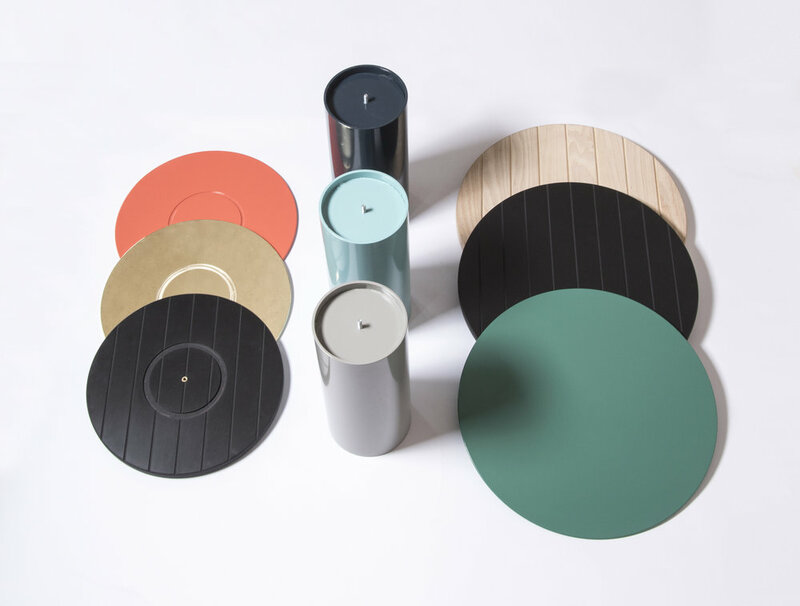 The tabletops, bases and columns come each in three different materials or colours, making it possible to make numerous combinations. 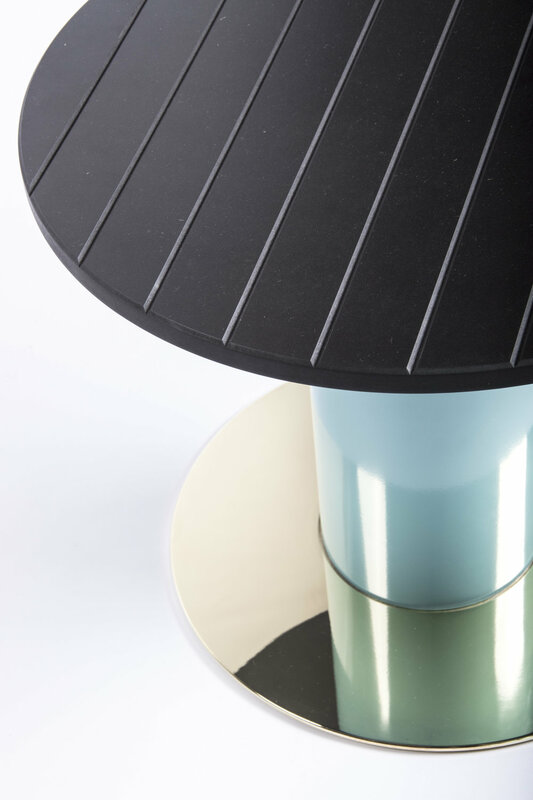 The parts are easily assembled via one central screw. 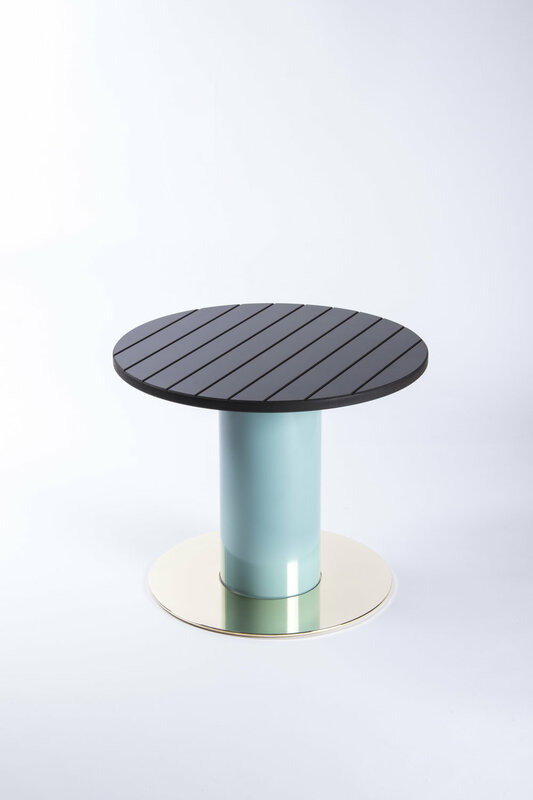 Different materials have been applied for the separate parts such as powder coated aluminium, ash wood, solid coloured MDF and brass.